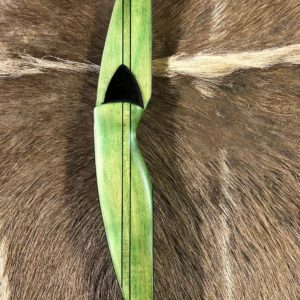 From their shop in Michigan, Tracey and David Balowski build 5 recurve and longbow models for LifeCycle Gear. 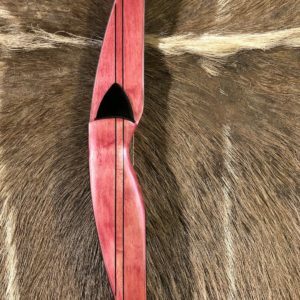 To honor their region, each bow is built from tree species that are native to Great Lakes forests and the models are named for the individual lakes. 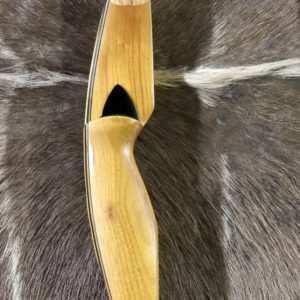 The Superior and Huron are similarly styled, sleek recurves, with the Superior available from 58” to 64” and the Huron 54” to 56.” These bows “point” like a longbow, but have the speed and good manners of a recurve. The Michigan and Ontario are similar reflex/deflex longbow designs, with the Michigan available from 58” to 64” and the Ontario 56” to 60”. The Michigan and Ontario defy design principals by showing the graceful “D” shape of a classic longbow when strung, yet they have a pronounced reflex/deflex profile that boosts performance and shootability. These longbows truly are the best of both worlds. 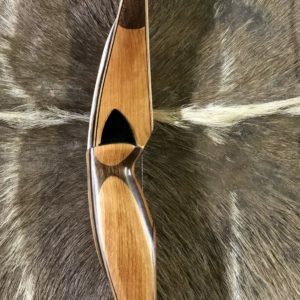 The Erie is a snappy 48” youth bow that will make every kid smile from ear to ear!